Founded in 2005 and headquartered in Atlanta GA, FutureTech Holding Company is a leader in Information Technology (IT) and IT Enabled Services with our strategic holdings in the healthcare, financial and technology sectors. To create a platform/launch pad through various acquisitions and build the infrastructure necessary for both organic and inorganic growth as well as sustainability. Build an enterprise where we are the best globally to create, enable and realize utmost value for the partnerships. We build partnerships with investors, entrepreneurs, customers, employees and vendors. We maintain each of these partnerships fairly with dignity and respect. We are trustworthy, flexible, agile, thorough and hard working. We are achievers and believe that failure is not an option. We believe in innovation, taking risks and accepting challenging tasks. FutureTech’s approach to IT Service Management focuses on the implementation and management of information technology systems that are process-focused with ties to process improvement frameworks and methodologies such as Six Sigma, business process management, and CMMI. We provide a service model that delivers lean and agile services while maximizing stability and performance, improves customer satisfaction, and integrates into native IT operations management systems. Our Technology Services division provides IT consulting and IT contract engagement services. Our IT consulting services provides Enterprise Resource Planning (SAP & Oracle), Business Intelligence (SAP/BOBJ), Infrastructure Management (EMC & Hitachi) and general IT consulting (Microsoft & Oracle). The front end sales team is focused on building infrastructure practices, onsite residencies, partnering with infrastructure providers and systems integrators on implementations and rollouts across the nation with enterprise clients. The back end team is focused on recruiting, training, skill building, retention and providing human resources. The revenues traditionally have been generated through time and material, and non-contingency based billing. FutureTech’s IT Enabled Services covers operations that utilize information technology to improve organizational efficiency. These services include call centers, medical transcription, medical billing and coding, back office operations, revenue claims processing, legal databases, content development, payrolls, logistics management, HR services, and web services. We combine the best of technology and talent to address back office requirements of organizations around the world. Our Financial Services division delivers accounts receivable management and customized business process outsourcing services. Marquee clients include industry leaders such as Nissan, Verizon, US Cellular, Mercedes, Reliable Credit, TDS Telecom, Snohomish County, the Georgia Department of Revenue, Kaiser Permanente, JP Morgan Chase, Radian and the University of Wisconsin. In addition to proven accounts receivable optimization services, our growing mortgage rehabilitation offering brings clients comprehensive understanding of cure programs through a reliable onshore outsourcing partner. Our Healthcare Revenues Cycle Management Services division provides business office outsourcing services to healthcare facilities, physicians groups, and individual doctors. The service offerings include insurance verification, third-party insurance billing, insurance accounts receivable follow-up, self-pay / bad debt collections and various ad hoc services to enhance revenue for healthcare providers across the U.S.
Mr. Vellanki leads FTH with his 25 years of strategy and industry experience and a history of success. Mr. Vellanki founded the holding company in 2005 wherein he partnered with professional investors and acquired various companies. FTH is also keen on building infrastructure in India. 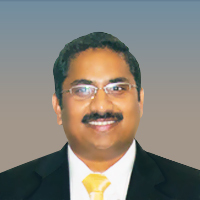 Mr. Vellanki has a master's degree in Computer Engineering from Clemson University, USA and a master's degree in Physics from BITS, Pilani, India. Mr. Vellanki brings excellent business and technical management skills for business strategy, planning, technology and team building. 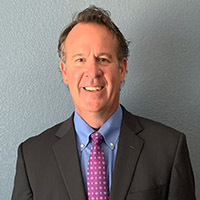 Scott brings more than 35 years of experience beginning at Deloitte & Touche and has served in senior financial positions at Sybra, Inc., Camberley Associates and the Transit Group. He has been responsible for development and implementation of a cost effective model for integrating the company’s operating units, including the consolidation of its financial systems. Scott is a CPA who earned his B.A. at the City College of New York and his MBA at St. John’s University. 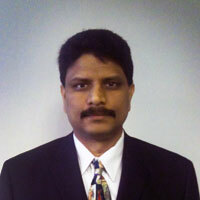 Bharath brings 22 years of experience in managing projects in both private and public sectors. Previously, he served as Manager at Verizon and Bayer Diagnostics and as Senior Transportation Planner at North Central Texas Council of Governments. He has a master's degree in Civil Engineering from Kansas State, a master's degree in Computer Science from the University of Texas at Arlington and an Executive MBA from the University of Texas at Dallas. Issac is an accomplished Human Resources leader with success in leading organizations through Business transformation. He has over 30 years of diverse Human Resources leadership experience with Global organizations including IBM, Unilever, Nortel, Bank of America, Schneider Electric. He is also closely associated with Technology start-up incubation. Issac is an active volunteer and is on the Management Advisory committee of “Advance Social Innovation”, a non-profit focused on social Entrepreneurship. Issac is a graduate of XLRI, Jamshedpur, India and has lived and worked in four different countries. Anj brings 22 years of experience in Management, IT, Global Operations, Global Services Delivery, PMO, Compliance, HCM, and Administration. In this role, he is responsible for Sales, Services Delivery, Immigration, Compliance, and Human Capital Management. During his 22 year career, he held several senior technical and management positions at DSQ Software, BITECH, Genesis, Compaq, and Sprucesoft. Anj received his Bachelor’s degree in Electronics & Comm. Engineering from university of Madras, an MBA in General Management and Health Sector Management from the Fuqua School of Business at Duke University. Certifications in project & process management, Six Sigma, and ISO27001. 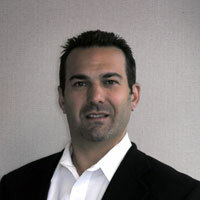 Nick founded Norwin Technologies in 2003. 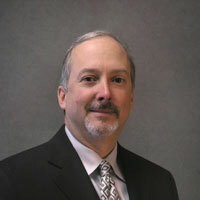 Prior to Norwin, he served as a Director of Business Development with Darwin Partners for 10 years. Nick was responsible for sales, marketing and delivery strategies developing the professional services organization from the ground up to $50mm in annual revenues. 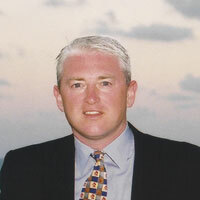 He brings solid client relationships across an array of industry sectors. 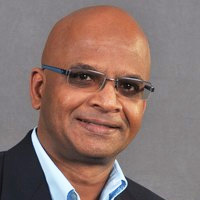 Ram founded Premier IT Solutions in 1999. He specializes in employee and customer relationship management. Prior to Premier IT Solutions, Mr. Bobba worked for 5 years in IT consulting in India and the United States. 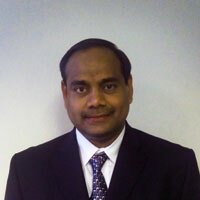 He is an active member in the local network of IT consulting companies. He earned his bachelor's degree in Computer Science from Gulbarga University, India. With nearly 25 years of experience in the mortgage industry, Mr. Starliper has achieved a plethora of career hallmarks for some of the nation’s most reputable institutions; most notably, he is credited with the development of Premier Asset Services, a division of Wells Fargo. His specialties include loss mitigation, bankruptcy, claims processing, and real estate owned properties; this commendable real estate background has earned him panel leads within the Mortgage Bankers Association, USFN, and REOMAC organizations. Craig brings more than 25 years of experience in management, IT, outsourcing, healthcare, consulting, and business development to the firm. He has worked for some of the leading companies in the healthcare industry, including Tenet, HealthSouth, Strategic Medical, IBM, BearingPoint, and ACS. He has a B.S. in Management from the Georgia Institute of Technology and is a member of numerous industry associations including HFMA, HIMSS, and MGMA. 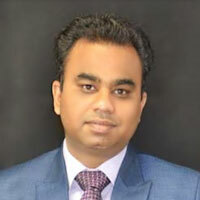 Jay has over 30 years of IT And Management experience and currently serves as the CEO of Emergys LLC, an SAP Gold Partner with offices in India, Mexico, Canada and the US. After spending a decade in consulting and with Fortune500 companies, Jay has been a serial entrepreneur and an angel investor for the last 20 years; having been through multiple successful exits. Jay holds a Bachelor’s degree in Electrical and Electronics Engineering from Birla Institute of Technology & Sciences (BITS), Pilani, India and graduated in top 20 across all engineering disciplines. Jay was instrumental in bringing TiE (The Indus Entrepreneurs), a global organization for promoting entrepreneurship, to Nagpur, India and is the Founding Charter Member of TiE Nagpur. Jay is an active angel investor and is a member of the Indian Angel Network (IAN), a Limited Partner in Crestlight Venture Productions based in Silicon Valley and was one of the first investor members of LetsVenture, a crowd-funding platform. Jay has over a dozen investments in the technology and education sectors to his credit. 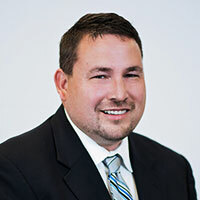 Dan Dillman is the founder and CEO of A2U. Under his leadership, A2U has earned the fastest growing technology company in Pittsburgh two years in a row (2016, 2017) and achieved Citrix Platinum Partner status, an achievement designated to only about 30 companies in the country. Dillman’s promise to hire only the best, technical staff and philosophy to sell customers a solution – not a product – have been the key drivers in the company’s explosive growth. As an industry thought leader around mobility, virtualization and how to optimize IT networks, Dillman brings a wealth of experience from managing IT projects at SMB to large-scale companies with 50,000+ user implementations. His IT background spans a range of verticals, particularly healthcare, across the state of Pennsylvania and throughout the region. Prior to founding A2U in 2003, Dillman was the technical lead at FedEx in charge of desktop and application delivery to its roughly 1,000 facilities around the U.S. and Canada. 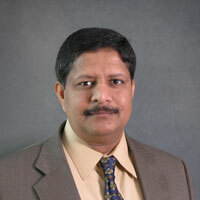 Later, he joined UPMC as the senior Citrix architect. In 2018, Dillman was named a winner of Pittsburgh’s CEO of the Year Award. Dillman has been called the “best in the business” when it comes to developing IT solutions and enabling companies with the technologies they need to mobilize business. 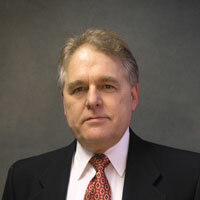 Tom joined PDSINC, LLC in 2007 and brings 25 years of experience in the staffing and solutions industry. Previously, Tom spent four years as the Wester Regional President at The Yoh Company. He has held senior leadership positions at AdvectA, Robert Half International and Target Corporation. Tom has a business degree with an emphasis in economics from St. John’s University in Collegeville, Minnesota. 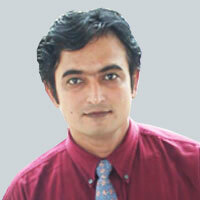 Sharad is a founder and CEO of OvalEdge. Sharad is a visionary, self-starting and high energy entrepreneur. Under his leadership, OvalEdge is becoming a leader in data cataloging sector. Before starting OvalEdge, he was a principal architect with Hortonworks. He has a Nuclear Engineering degree from IIT Kanpur in India. © FutureTech Holding Company 2018. All rights reserved. Norwin Technologies provides the tools and services to help clients capitalize on IT. We bring systems, software, services, and solutions together to deliver a comprehensive IT infrastructure. We help clients design, build, and manage intelligent, flexible, and secure information technology environments. These environments are crucial to implement information lifecycle strategies, secure critical information assets, leverage content for competitive advantage, automate data center operations, and reduce costs. IT infrastructure is the foundation that enables the flexibility and security crucial to running a business better, faster, and more efficiently. We provide what it takes to help ensure clients get where they want to go. 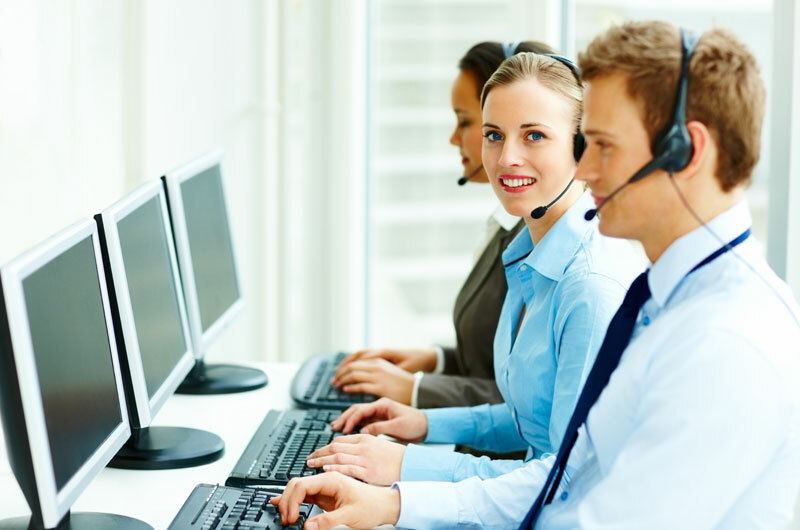 Premier IT Solutions™ has been providing professional staffing services for over 12 years and has accumulated more than 2 million hours of IT services experience. Premier is a national provider of technology resource solutions for Fortune 500 companies. From single application development resource to staffing an entire project team, our unique recruiting and training capabilities make Premier the essential partner in delivering or supporting key technology initiatives of clients. Premier’s philosophy is Client-Controlled project, approach and processes. 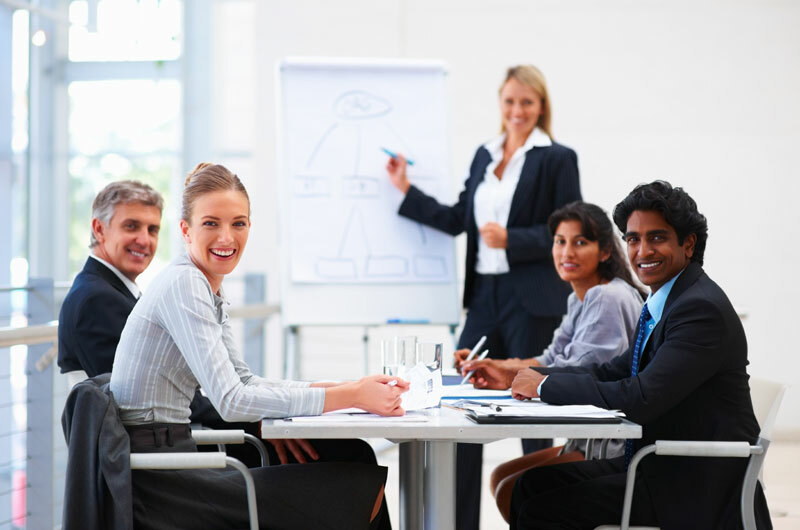 Specializing in all aspects of staff management including training on new technologies and innovative techniques, effectiveness, adhering to quality standards, logistics, regulatory compliance, immigration and hand-holds the employees every day throughout their entire time with the company. Appridat is a leading provider of IT staff augmentation and consulting, project management, and application and custom software development for the banking, insurance, manufacturing, financial, biotechnology and clinical research industries. Appridat delivers high quality and reliable solutions to complex business problems with innovative and highly professional methodologies and dedication. Appridat transforms the way you do business by optimizing processes, analyzing and aligning IT with business needs, supporting IT operations and designing effective risk management strategies. Appridat’ business objective aims at delivering the highest standard of quality software products, cost-effectiveness and customer support while consistently providing customers with innovative and proven solutions using the latest in software technology, methods and tools. Emergys LLC has the proven track record of successful SAP implementations and support services. Based on Design thinking DNA and 2 decades of industry experience Emergys transforms business through digital enablement & innovations. With near-share and off-shore delivery centers in Canada. Mexico and India. Emergys delivers transformative Outcomes for the businesses we serve. Applications2U LLC is the fastest growing technology company in Pittsburgh for two years in a row, it’s no secret that A2U has positioned itself to be the best in the business. With top-tier, in-house technical talent and offering 20+ technology partners — A2U is an industry leader in IT solutions. We have a proven process to help you move your business forward — and we’re with you every step of the way. We take a ‘no stone left unturned’ approach to ensure your network is stable, secure and reliable. It’s that type of commitment that allows us to maintain our high customer satisfaction rating, and keeps our clients coming back to us for continued IT support.